This Active Shooter Bag was designed to combat the rising random acts of violence that create mass casualty incidents and extremely volatile situations. These may be and often are an ongoing dynamic scene that requires the neutralization of the threat before triage can begin on the victims. Often times those victims are brother officers suffering from life threatening injuries. The Active Shooter Bag includes enough vital medical supplies to immediately treat officers suffering from penetrating trauma injuries such as arterial gunshot or stab wounds. 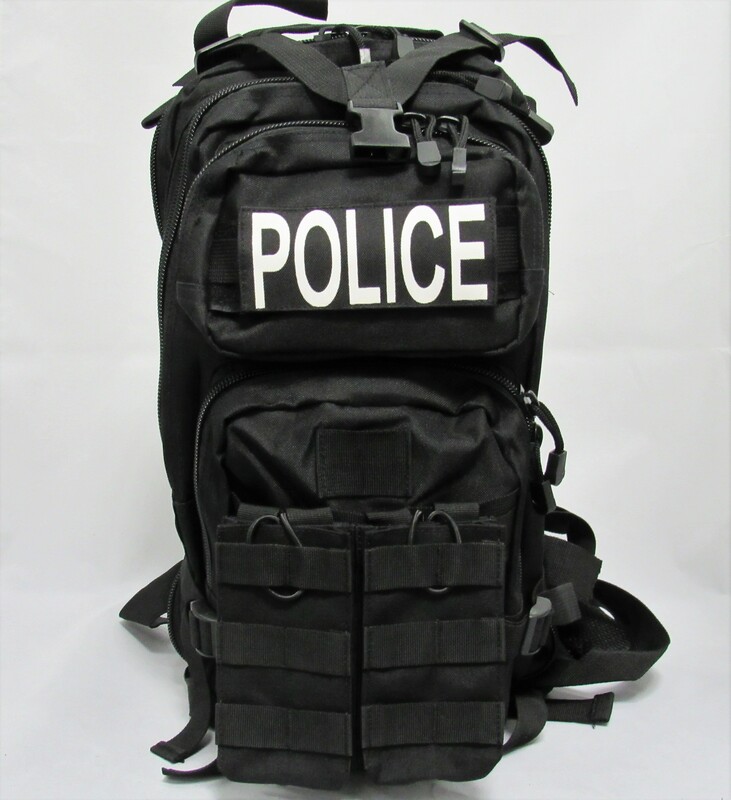 The uniqueness of the packs design is set up to be instantly deployed onto the back of officers and having all urban combat gear immediately accessible. The top front pouch was designed to hold our popular "Rapid Response Pack" which is included. The overall pack has multiple pockets, elastic loops, compartments and molle system attachment points for extra patrol rifle magazines, extra pistol magazines, extra handcuffs/flexcuffs and an internal pouch designed to contain any back worn hydration system. With the M.O.L.L.E exterior, all components can be customized to create a deployment solution that works for you. 1- SWAT-T Tactical Wrap Tourniquet, 1- OSS Combat Compression Bandage, 2- 4x4 Hemostatic Gauze Packs, 6- 4x4 12ply Sterile Gauze Pads, 1- 1inch Medical Tape, 1- 5x9 Sterile Trauma Pad, 1- 3x9 Petroleum Gauze, 1- Pair of Rescue Shears, 2- 3inch Sterile Gauze Rolls, 1- Nasopharyngeal Airway 24fr, 2- Pair of OSS Tactical Black Nitrile Gloves.